Maddy has written a book review as a Literacy task and has generously offered to shared it on our Library blog. After reading Maddy's review I have added this book to my list of must reads. When we share our love of books - we invite others on a wonderful adventure! Thank you Maddy. Hello bloggers! Last year I read an incredible book and it was so good that I thought I might share my review with everyone! 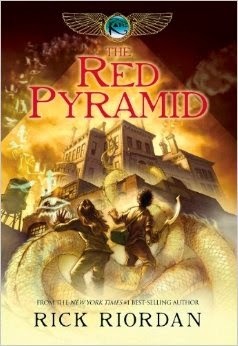 The book is titled ‘The Red Pyramid’ by Rick Riordan. This book took me away from where I was. I forgot about everything else. This is a great one for those into adventure. It opened up a new way of looking at the world and made me think and wonder. Rick Riordan described every moment as if it was happening at that exact moment. It created pictures in my mind and I could see every moment. It inspired me, gave me ideas and kept me reading. It's really a page turner. I couldn't stop reading it. If you find this book anywhere, I really recommend it to you. Once you read this book, could you compare your opinion with mine? Welcome back to the new year. We are very excited to welcome our new Preps to St. Luke's. The Preps have painted their portraits to help brighten up our Library. This year we are thinking of Dr. Seuss' wise words: 'The more that you read, the more you will know. The more that you learn, the more places you'll go!' The Preps have made a great start to their school year and always come into the Library excited to read and share books. Dr. Seuss would be very proud! Students from all over the school have loved seeing the Prep's portraits and it is heartwarming to hear how much our students care for and welcome our precious Preps. What do you love about reading and books? The online Honour Roll for this years Premiers' Reading Challenge is now ready to view at Honour Roll. Congratulations to all our students who took part in the Challenge! A fabulous effort! This week during Library sessons we read some books about 'Dads' to celebrate Father's Day. After reading we used a great app on the iPad called Chatter Pix to record what we liked about each story. It was lots of FUN! Here are Joshua, Sophie and Liam talking about these great books! My Dad Anthony Browne from Learning Together on Vimeo. Some Dads... Nick Bland from Learning Together on Vimeo. Grandpa and Thomas Pamela Allen from Learning Together on Vimeo. 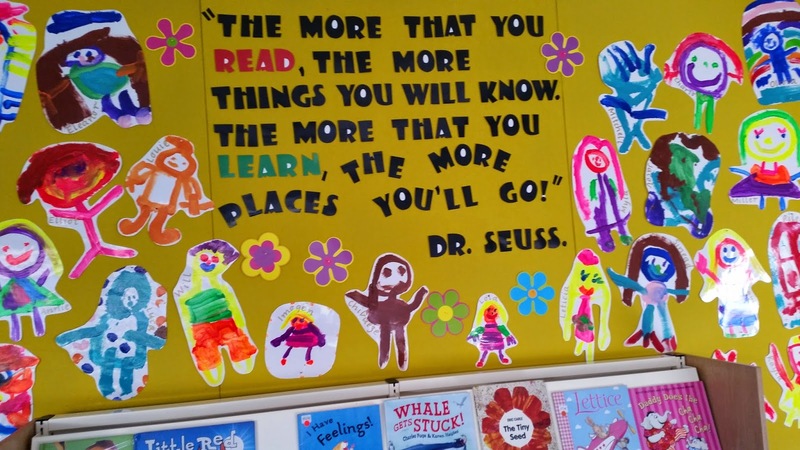 We have had a wonderful week of celebrations for Book Week 2014. Thank you to our Library team who ran activities and assemblies. 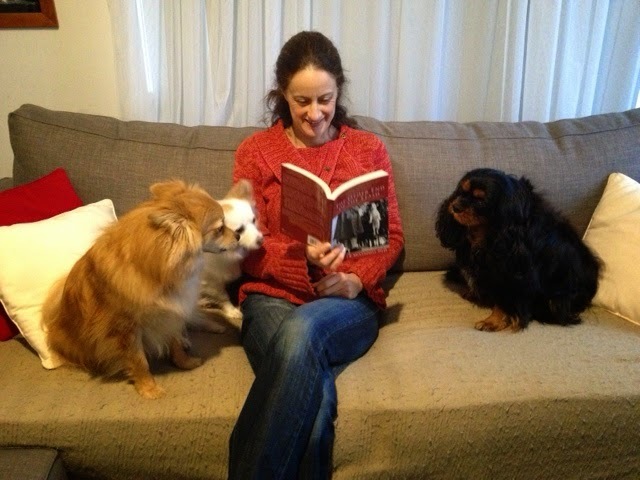 We asked families to send a photo of how they connect to reading. The slideshow below shows the many different ways we connect to reading and how reading connects us to each other and the wider world. How did you celebrate Book Week 2014? What did you enjoy the most during book week? Book Week - Connect to Reading! Book Week for 2014 begins on Saturday 16th August until Friday 22nd August. This year the theme is ‘Connect To Reading’. Each class will be running activities over the week to celebrate Australian authors and great books. We are having a dress up day on Wednesday 20th August. We will begin the day with a parade in the hall that all parents are welcome to attend. Students are encouraged to dress up as a character they connect with in their reading. We will make a slideshow of all our photos and post them on our school blogs. On Tuesday 12th August the students will attend a workshop run by Richard Galbraith, a writer, illustrator, cartoonist and storyteller. Richard will run workshops on cartooning where students will learn to create and draw cartoon characters and weave them into simple stories. Throughout Book Week we will have our Library team reading books to the whole school at Lunchtime. Book Week at St. Lukes! We have great new books in the library! For Preps and Juniors: Hairy Maclary's Hat Tricks by L. Dodd , Green eggs and Ham by Dr. Seuss and many other picture books. For these books look in New Books or Picture Books. See if you can find the new books! We have two new Zac Power Spy Recruit titles, and two new Billie B. Brown Mysteries. Find the new shelf with some Premiers' Reading Challenge books for Preps and Juniors. For Mids and Seniors: Two new Geronimo Stilton titles, two Cavemice titles, and two Thea Stilton titles. Also two new Rainbow Magic titles, a new Truly Tan, a new Tashi, and a new Judy Moody. We have two new Tom Gates titles, and three new Dork Diaries. Sea Quest by A.Blade, and Skylanders. Andy Griffiths has a new book Once Upon a Slime to help you write your own stories. Especially for Seniors: a number of new Jacqueline Wilson titles. My favourite is a recent title Queenside, but try them all. Note that J. Wilson based her book Four children and It on E. Nesbit's Five children and It. This will be available shortly- find out more about the Psammead! Check New Books and Fiction for these books. Soccer fans try the facts books and fiction on display. Congratulations to all students who are reading so well for the Premiers' Reading Challenge. Keep it up over the holidays. You have until the end of August to finish. Let's see if all students can complete the Challenge! Any questions, send a message to Mrs. Davey. It is with great pleasure that I introduce our very first guest writer for our Library blog. Madeline in Senior MY has written a very informative piece about poet and writer Oodgeroo Noonuccal. Oodgeroo was born in 1920 and she was born on Stradbroke Island, (the indigenous call it Minjerriba) Queensland. She was best known as a poet, although she was also an actress, a writer, a teacher, an artist and a campaigner for Aboriginal rights.She left school at the age of 13, and worked as a domestic servant until 1939. She volunteered for service in the Australian Women’s Army Service. with her verses ‘We are going’ which sold out in three days. Moongalba, (the Noonuccals call it this) which means ‘sitting down place. to turn it into an Aboriginal museum. land with them and showed them the aboriginal ways. understanding between both the white and black communities. Thank you Madeline for a beautifully written and thoughtful Author study. Oodgeroo Noonuccal was a very talented and amazing woman. Look who has visited our blog!